With 31 properties currently all over the island of Ireland available to rent as self-catering accommodation, Irish Landmark simply would not be able to operate without our wonderful Local House Managers. These remarkable people are not only the faces of Irish Landmark guests meet, but they also look after the properties on a daily basis with such care and passion. So, in a new series we have decided it is about time we introduce you all to some of these heroes on the ground. 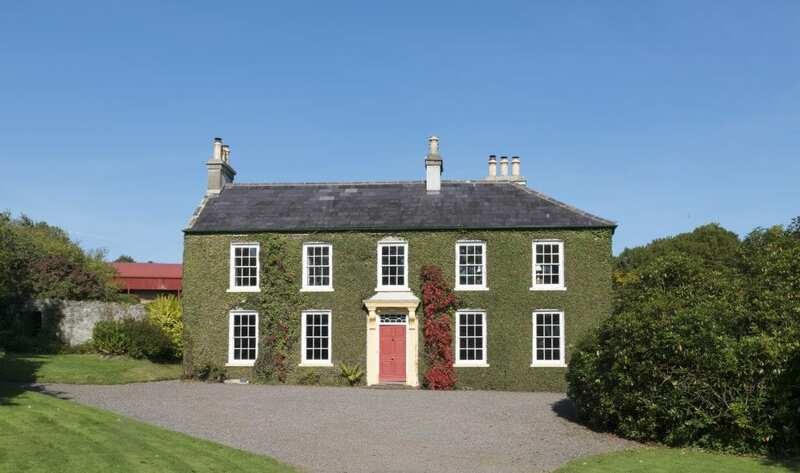 To start we are heading North to the stunning Tullymurry House and the wonderful Local House Manager Lorraine Bell. Tullymurry House Manager, Lorraine Bell. 2017 has been a busy year for you. How do you keep on top of everything? I print off my bookings sheet every month and use it like a diary. I have scribbles all over it like gardener’s hours, what needs attention in the house and what cleaning or spa items need to be replaced. I also write my own appointments on it, it really is my diary, and always stays in my bag! What is the thing people love most about staying at Tullymurry? All ages love the beautiful gardens, children love it for hide & seek, turns out to be a very long game though! The enclosed courtyard is also popular for young children as it is secure for them to play and is a very large space. The Wellness area is very popular with all ages and tends to be the night time relaxation place. Most of my Guest Book comments are regarding no TV or Wi-Fi and all positive notes. They love having no outside communication, as it means ALL the guests have great craic together with no technology distractions. I would normally do my changeover every Monday, after guests have left from a weekend stay, so it is ready in case of a late midweek booking. I do have to have help as it takes 10 – 12 hours to clean the house and wellness area. That’s 5 bedrooms, drawing room, dining room, utility room, 3 bathrooms, 2 hall & stairways, kitchen, spa area, sauna & hot tub. As it is quite a large house sleeping 8, midweek bookings are rare during term time. Summer months see guests leaving in the morning and next guests in that same night, it is a crazy day, but my routine never changes, just to ensure the same cleanliness for all guests, just a little pressure if the house is not left in a good condition. Shirley my 2nd key holder and I have a fabulous routine going and could not do same day change overs without her, she is a real diamond! I always meet guests as there is a lot of house to tell them about and how it all works, and unless they leave at 5am (never), I am always there to say goodbye and wish them safe travels. This is a great time to find out about any breakages etc, or they may tell me any problem they had which is useful for me as I like to get it resolved before next guests stay. Like many house managers, I love my property, it is a most stunning property, it’s not maybe a fabulous location like a lighthouse or in the middle of a city, but it’s an hour either way to each of Irelands capitals, great for international guests wanting to see a bit of both North & South. I love meeting guests and finding out why they are visiting, mostly for my guests it’s a hide away from mad work life, hens, and international guests visiting either family or tracing their roots. Can’t not mention the office staff!! The friendliest helpful work colleagues I have ever worked with. Never in my life have I been in a job I have wanted to stick with for the rest of my working life, I am a truly happy bunny. Where do the majority of your guests come from Ireland or overseas? It used to be about 80% Ireland but now I am getting about 40% from overseas. Summer months are mostly international guests, this Summer I have had Canadians, two American Families and Australians, two of these here for family weddings in the local area. What do guest love to do in the area? Depending where they have travelled from, Irelands guests may do the Titanic Experience, but usually they never even leave the house!! Guests travelling further afield would tend to do the north coast Giants Causeway/Bushmills, Belfast on the bus tours and longer stays would get the train into Dublin for the day. There is a lovely view of the Mourne Mountains, this is popular day out with an ice cream from Newcastle before resting their weary bodies in the hot tub. What do you think it is about staying at Irish Landmarks that Guests love? For my property it’s the condition of the house, like a step back in time, being Lord & Lady of the Manor! Guests love the history of the house and the family history, much of which can be seen around the house. Guests are very surprised how big the house is in real life and that the Wellness area is in the old cow shed. Nearly every guest loves being cut off from the grind of the outside world and enjoying together time. What challenges does Tullymurry face? After 5 years here in Tullymurry, the house is no longer a challenge and I am confident not much can go wrong, I do many repairs and painting myself. I try to keep on top of repairs, I’m a list girl, I always have one going! One challenge for Tullymurry is to improve midweek bookings during term time. It seems to be a property where guests get together for some kind of celebration or occasion and weekend bookings are popular for this, many guests all meet up here with friends and family they have not seen for a while, so maybe too large for a quick mid-week break. The property was used to film the Swedish version of “the farmer wants a wife”. I was sent a copy of the whole series, the couple ended up going their separate ways! 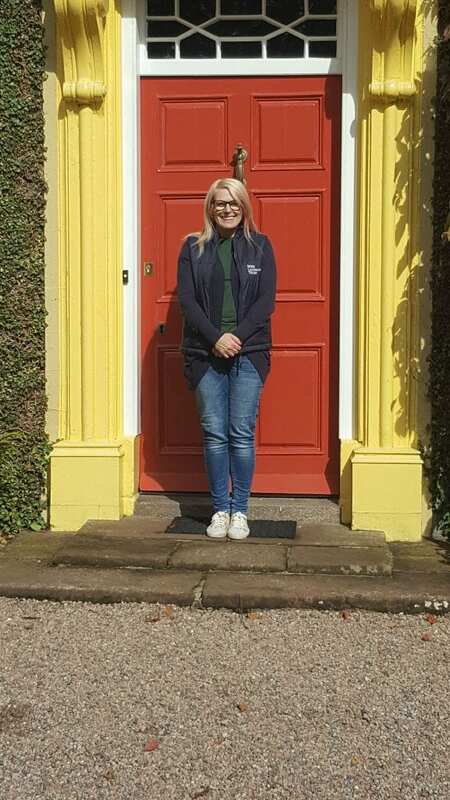 What’s your favourite thing about being an Irish Landmark Trust House Manager? Looking after such a magnificent house, and a little of being my own boss, working my own way and at times that suit me and my family life.